Super Screener's Kentucky Derby 2019 expert picks available now! Home / News / Super Screener's Kentucky Derby 2019 expert picks available now! In what's viewed as a wide-open running of the Kentucky Derby, expert handicapper Mike Shutty expects big-time payoffs to be in order on the first Saturday in May. 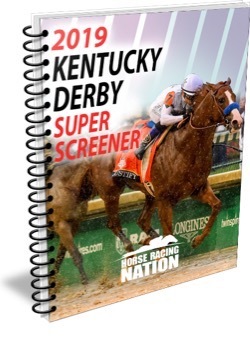 And it’s time to begin handicapping with an advance copy of Horse Racing Nation's Kentucky Derby Super Screener now available! 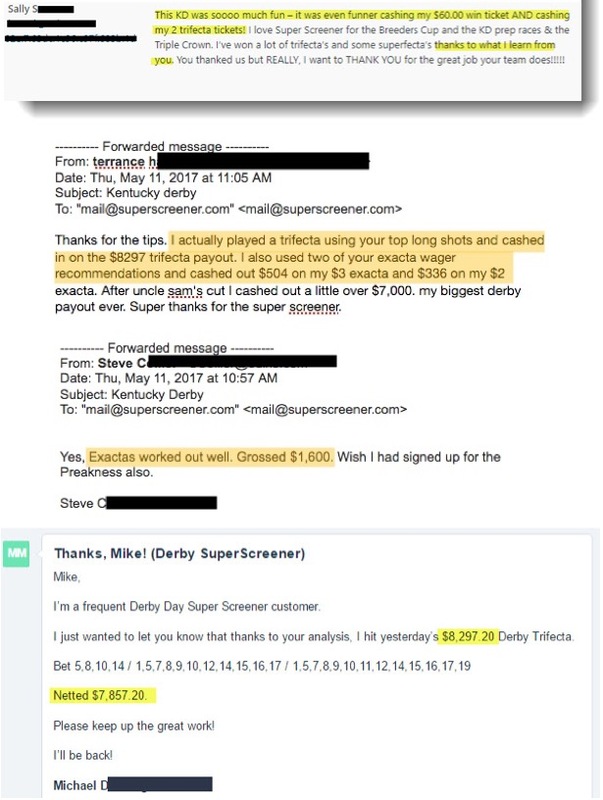 The Super Screener is a proven system that has been weeding out the Kentucky Derby pretenders from the top contenders for more than 20 years. Shutty added to the Super Screener’s history of success by nailing the trifecta in 2018. But the greatest Super Screener Derby hits include listing 33-1 Lookin At Lee and 40-1 Battle of Midway as top longshots in 2017; 37-1 Commanding Curve as a top longshot in 2014; and 34-1 Golden Soul in 2013. Yep, Shutty knows what he’s doing. The Super Screener relies on historical trends and time-tested rules to help sort through the noise of a 20-horse field, consistently isolating longshots and identifying vulnerable favorites. 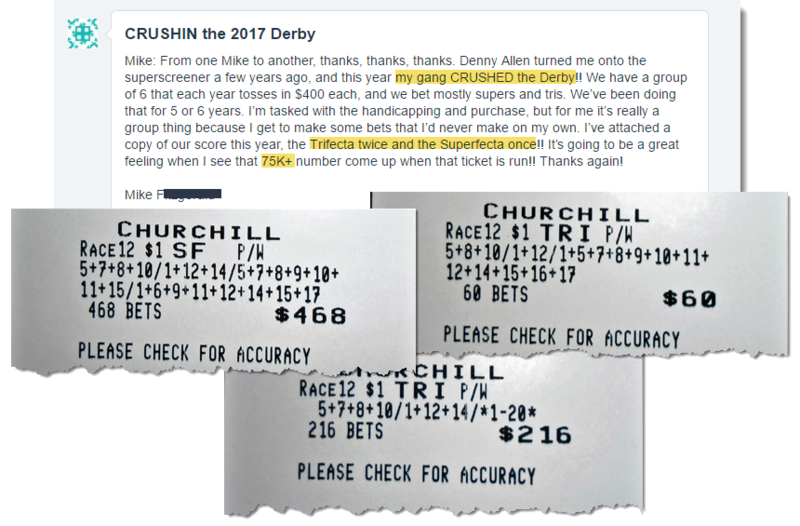 Derby week, you'll also receive recommended exacta, trifecta and superfecta tickets on how to play the Derby.